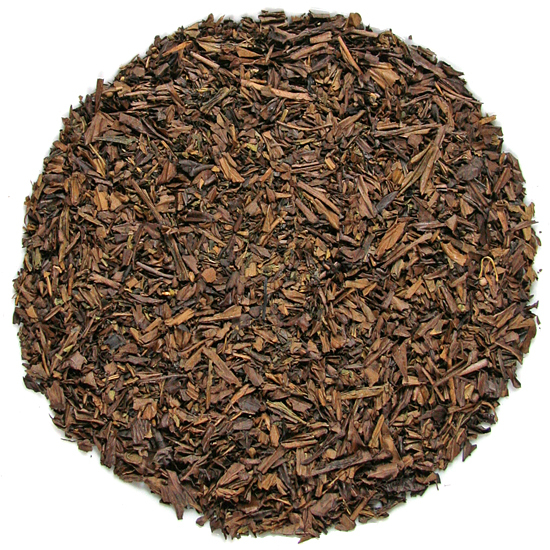 Green tea leaf varies more by volume to weight than any other class of tea except white tea. Some green teas are comprised of large leaves, others have small leaves. Some green teas are light and fluffy; others are rolled, twisted and dense. Our recommendation for how much to use for each of our green teas may surprise you with the quantity listed, but they are all measured to deliver delicious taste. 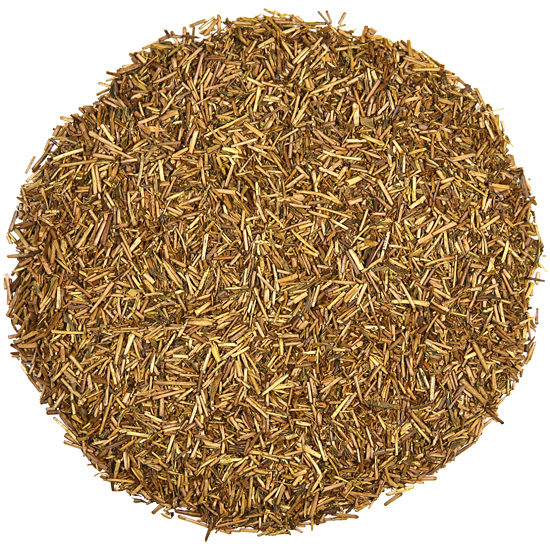 Toasted green tea is particularly bulky, so make sure you use plenty of leaf. Keep the tea twig in the water for the appropriate amount of time. Toasted green tea can be ‘in the water’ for many different lengths of time. Try a 2 minute steep, and taste it every 30 seconds after. Some enthusiasts steep this leaf for 20 minutes! Toasted green tea can be steeped again, usually 2 to 3 times (depending on the initial steep time) at the same or a slightly hotter water temperature than used for the initial steeping. 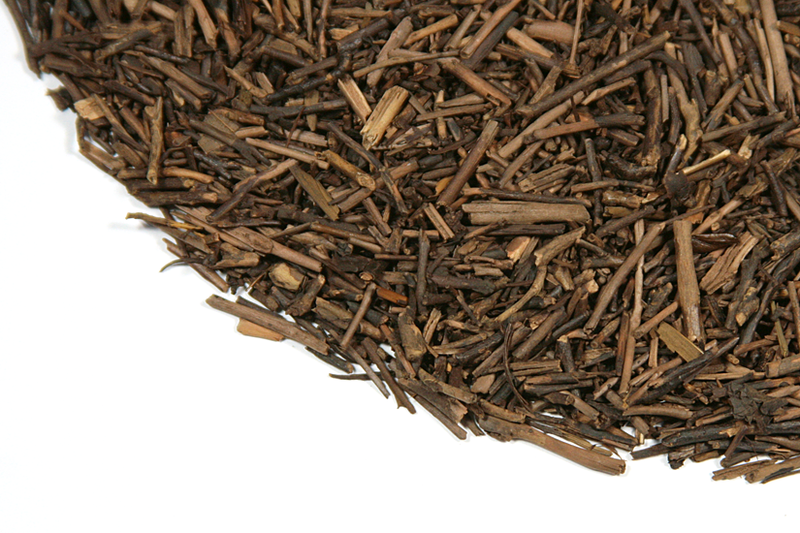 Kukicha and Hojicha tea can pose some confusion for new tea drinkers. But the difference is really easy to understand and the flavor of these teas comprise a nice family of roasted tastes. Kukicha is a twig tea because it is made from the slender tea bush twigs pruned from tea bushes that are grown for green tea leaf production. Regular annual pruning of tea bushes for health and vigor yields a bounty of cut twigs which are further cut very finely by hand and then roasted to make this refreshing, low-caffeine tea. Our Kukicha is made from selected twigs and stems of carefully nurtured green tea bushes that are at least three years old. The clippings are sun-dried for up to a week before they are precisely roasted according to size. 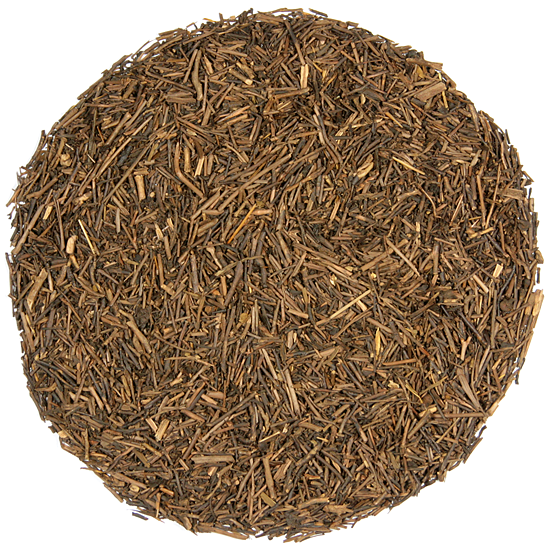 After roasting, the twigs are combined with a small percentage of roasted tea leaves to make the finished tea. Kukicha is big on flavor but low in caffeine. Drink hot or iced – serve chilled with apple juice for a refreshing cold beverage.